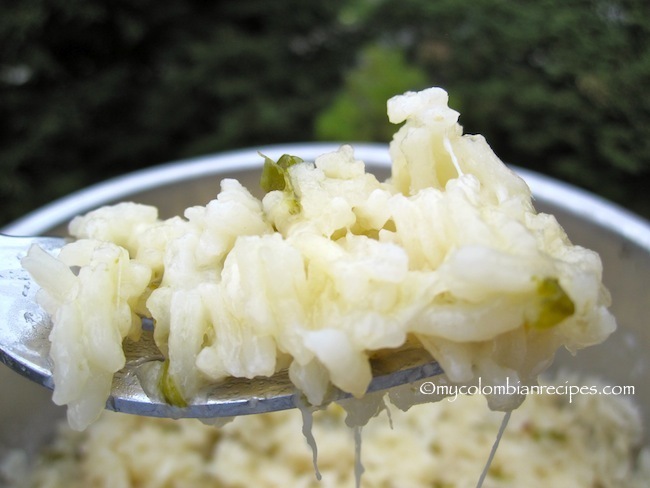 Arroz con Queso y Pimentón is a traditional Colombian side dish from the Sucre department of Colombia, located in the Caribbean region of the country. It is usually served with traditional Colombian seafood dishes. 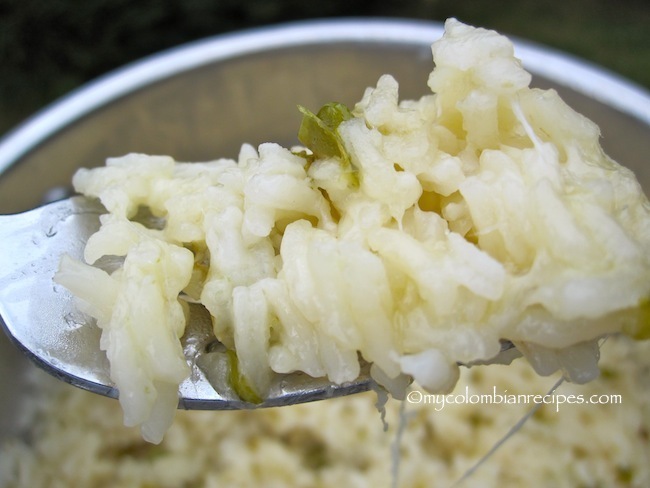 I think rice is one of the most versatile and simple side dishes you can make when you’re in a hurry. 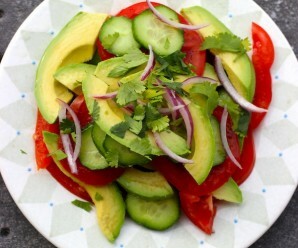 You don’t need much, you can use veggies, herbs, or pretty much anything you have in your fridge. This Green Pepper and Cheese Rice is a perfect side dish for a party or a last minute side for the family. Heat the oil and butter in a medium pot over medium heat. Add onion, green pepper and garlic cook, stirring, until tender, about 5 minutes. Add the rice, salt and stir quickly until it is well-coated about 1 minute. Add the water and bring to a boil over high heat, reduce the heat to low, stir once, and simmer, covered tightly, for 20 minutes. Add the cheese. Turn off the heat and allow the rice to sit covered for 7 minutes. Fluff with a fork, and serve warm. yum!! i’ve been craving things with cheese lately, so this is something right up my alley! 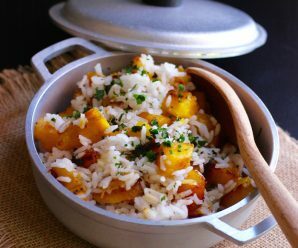 Nice rice dish…like the creaminess and the spiciness all together…yum! 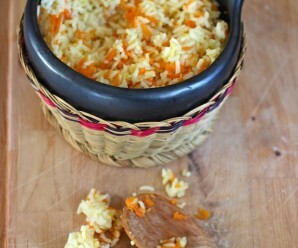 Great way to jazz up a rice dish…no boring meal at your house. 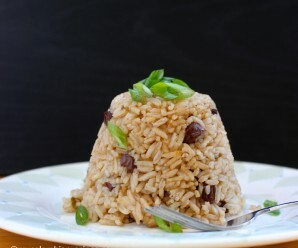 What a tasty way to flavor rice! Sounds like a delicious side dish. Wonderful, Erica, I’ll have to try this with some roasted pork tacos. heck it would be great INSIDE the tacos. My family loved this dish. It is one of my new favorite sides.thanks. I am sold. I see the creamy texture and my mouth just watered….